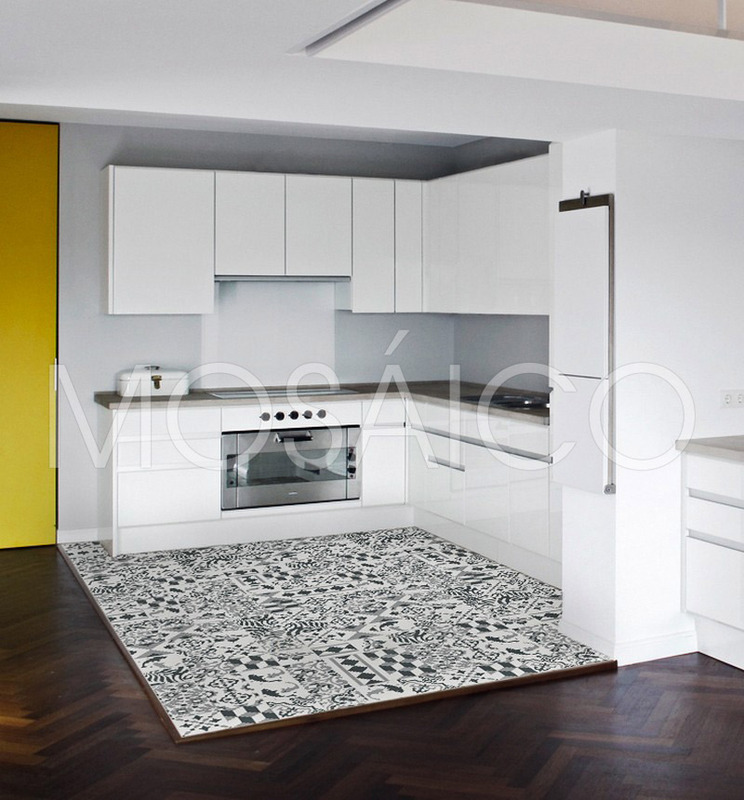 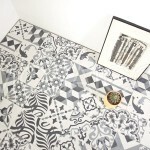 The Patchwork pattern gives floors and walls a clear elegance – and invites you to discover something again and again. 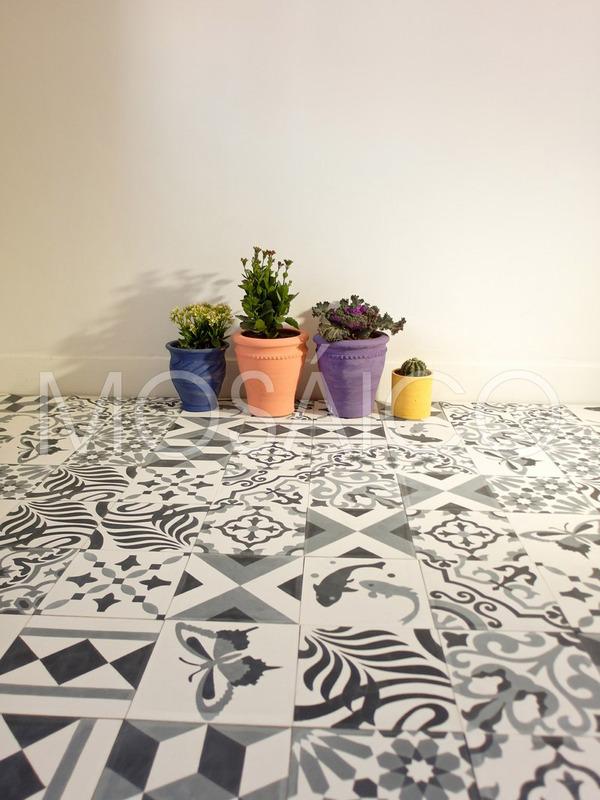 Patchwork Elegance is available in complete sets. 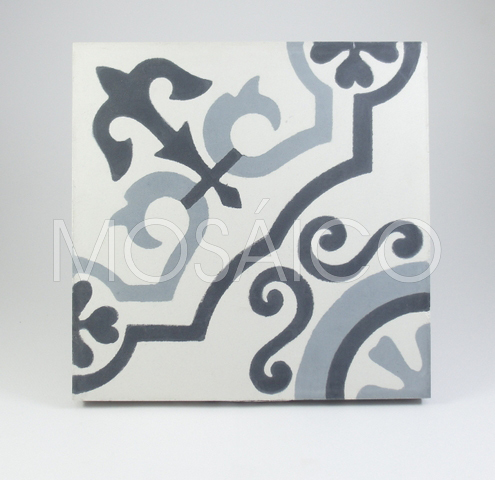 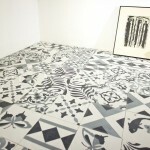 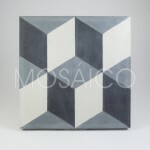 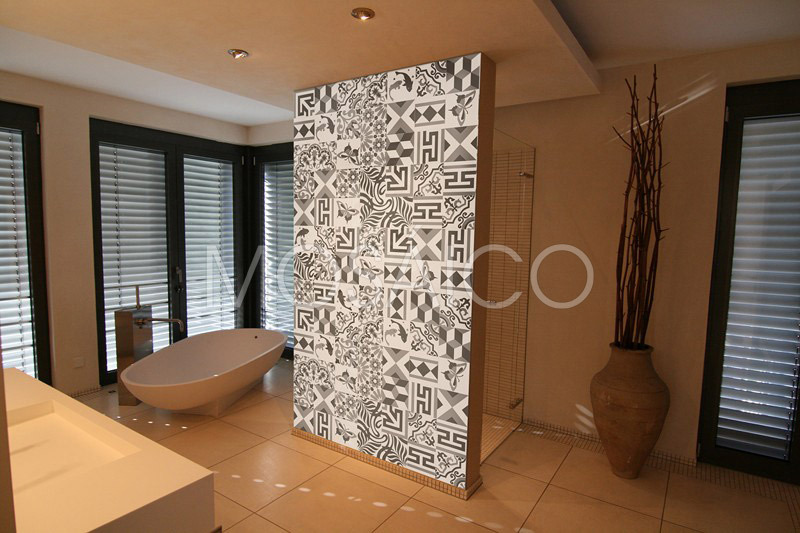 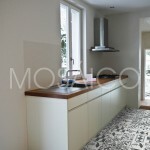 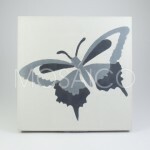 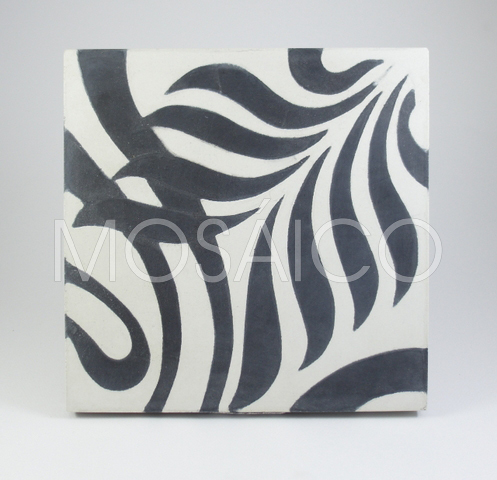 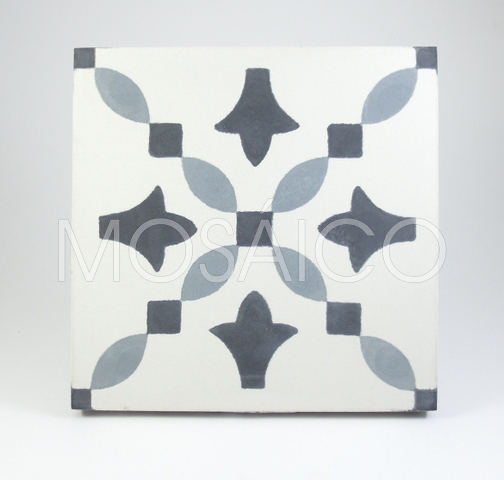 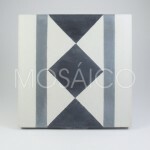 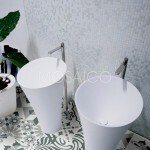 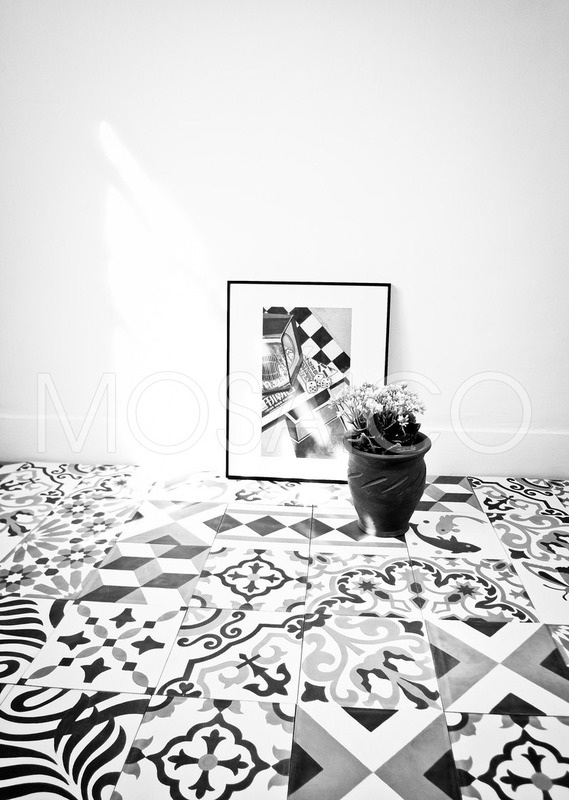 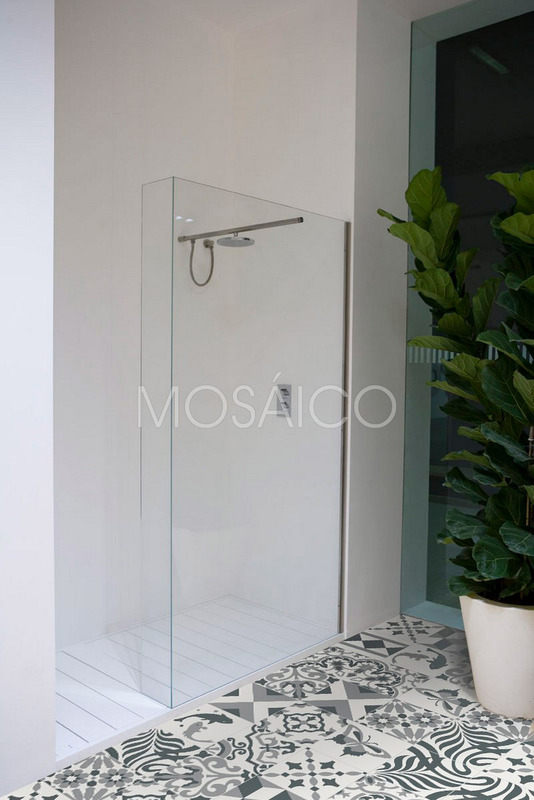 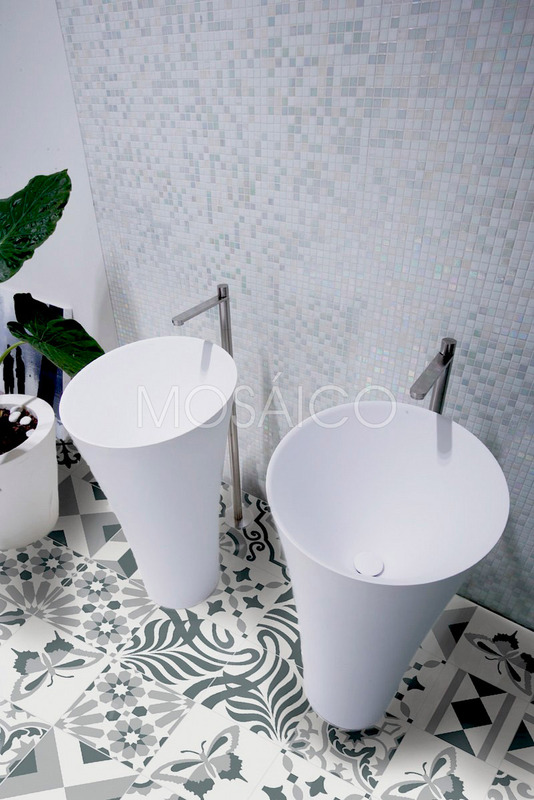 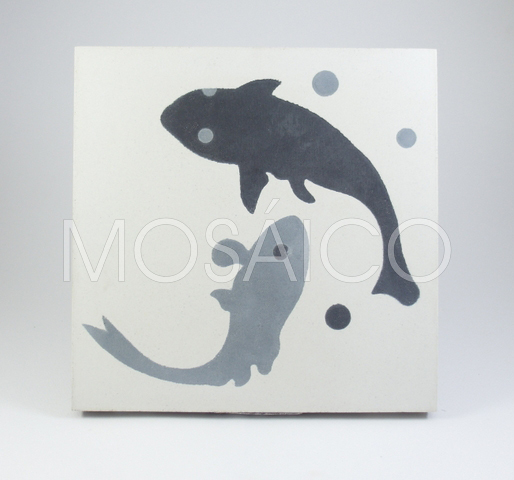 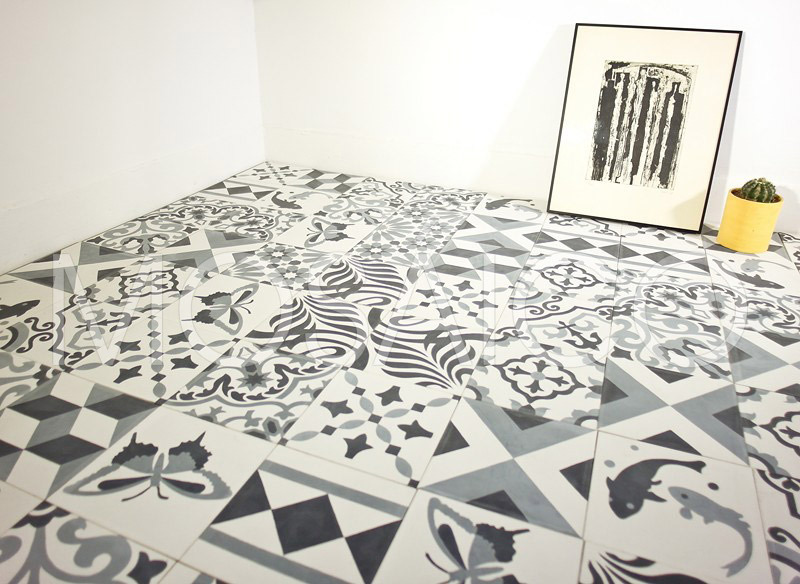 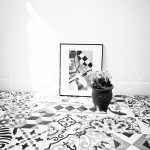 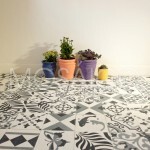 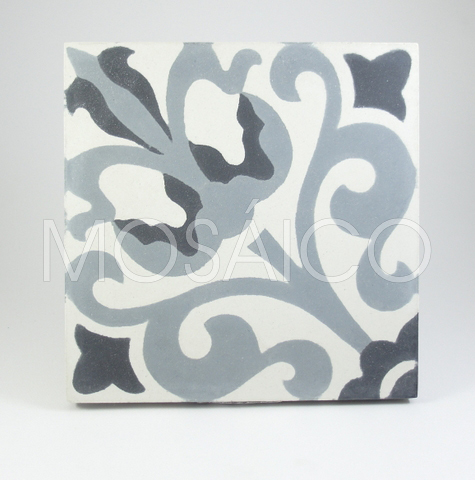 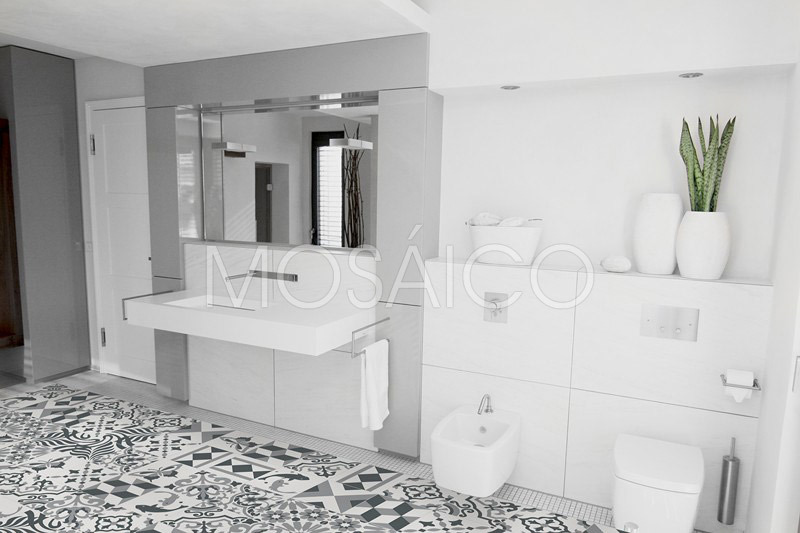 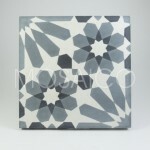 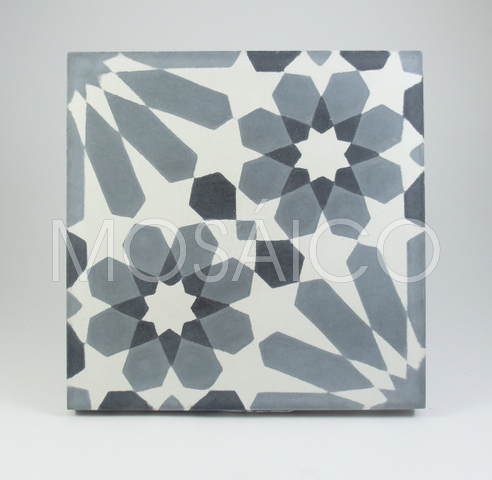 Each set consists of 48 cement tiles: twelve motifs with four tiles each, totaling 1.92 square meters. 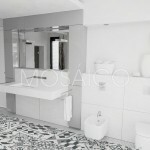 Tell us about our service: Tell us the number of square metres you would like to equip and we will calculate for you how many sets you need. 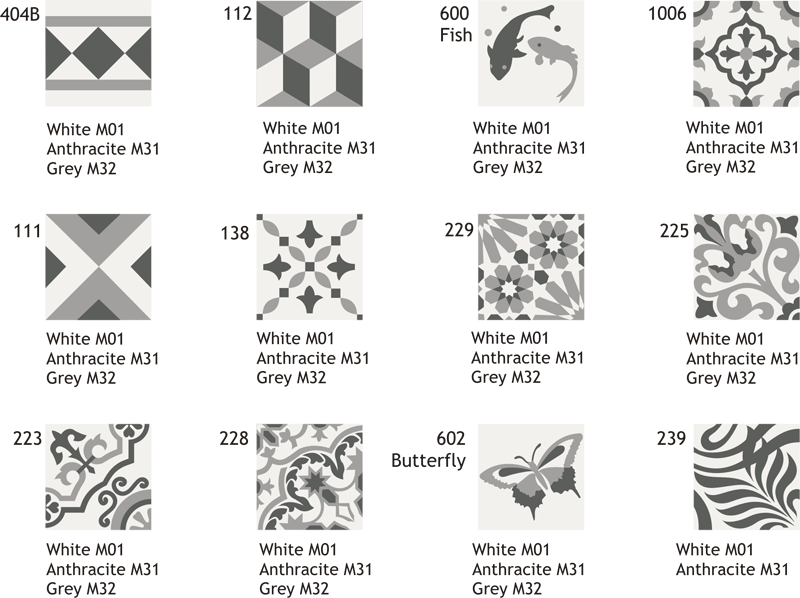 So you can design any surface optimally! 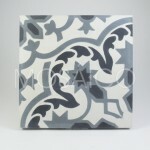 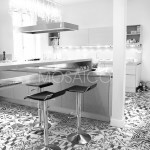 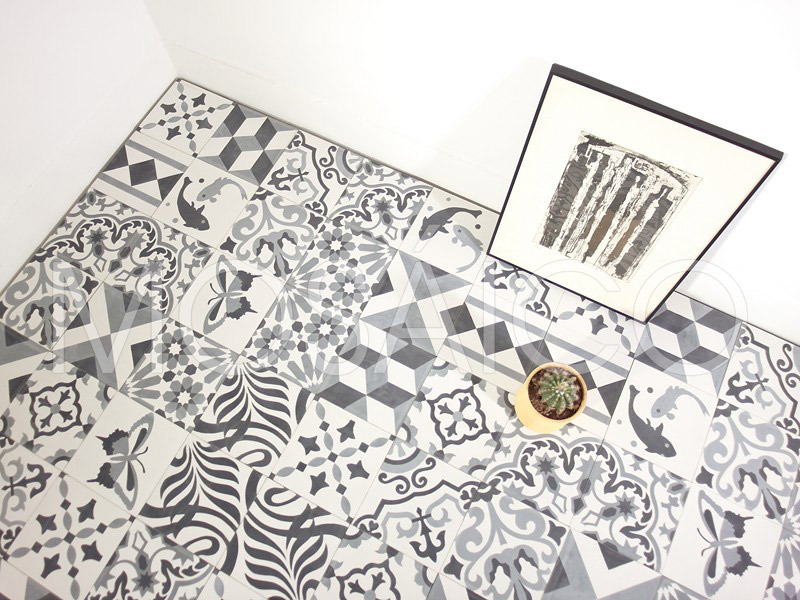 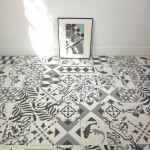 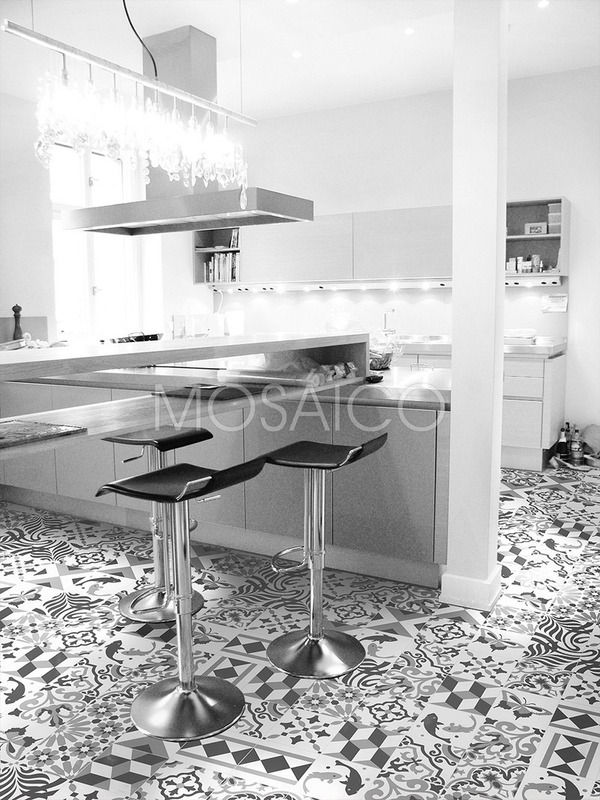 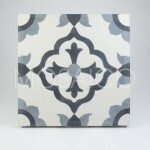 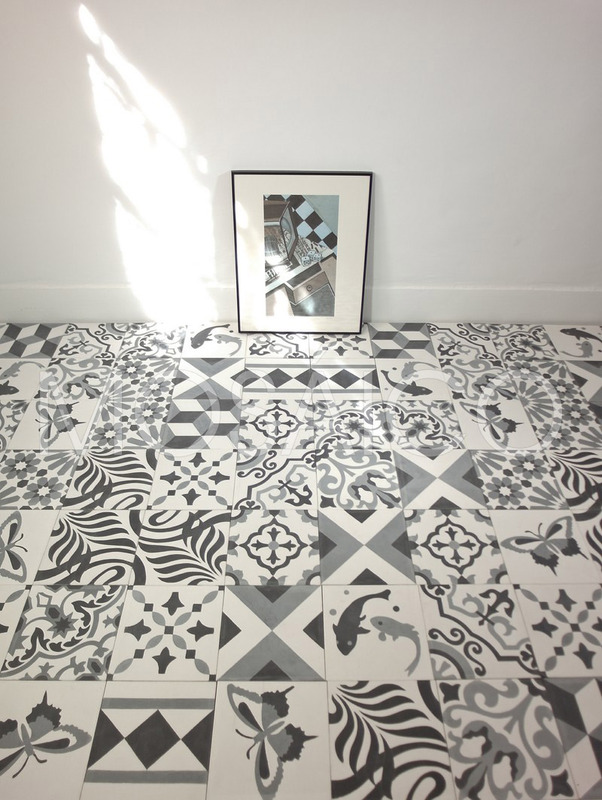 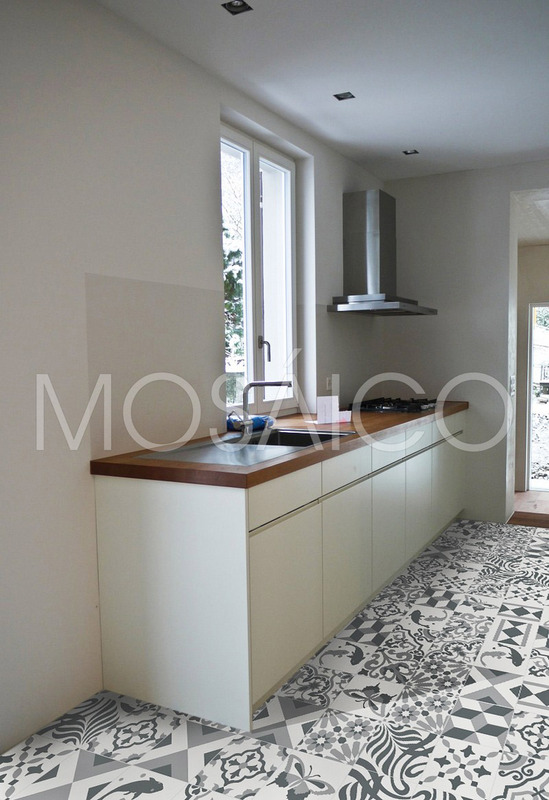 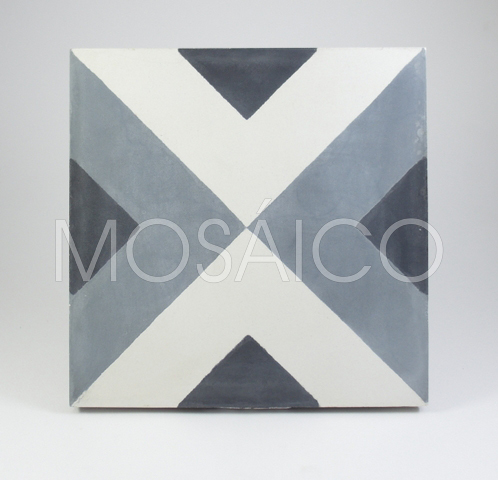 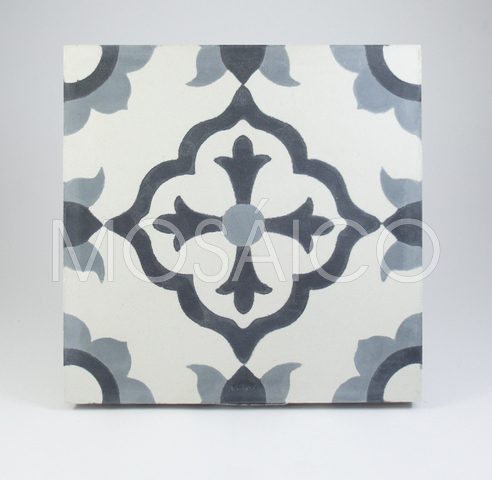 An ideal extension to the patchwork pattern are our uni cement tiles. 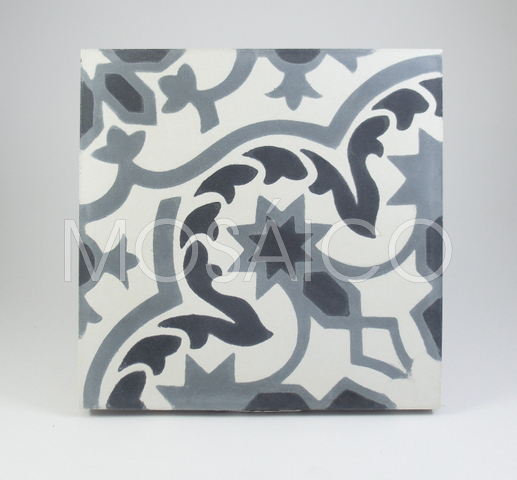 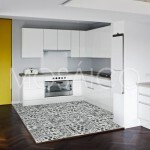 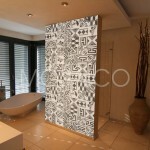 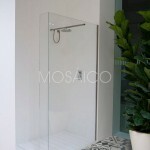 You can choose one of the pattern colours anthracite, grey or white – or a colourful, contrasting tone. 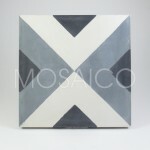 Choose one of our 36 standard colours to perfectly border or frame your Patchwork Elegance. 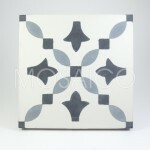 Of course, we also supply matching skirting boards.